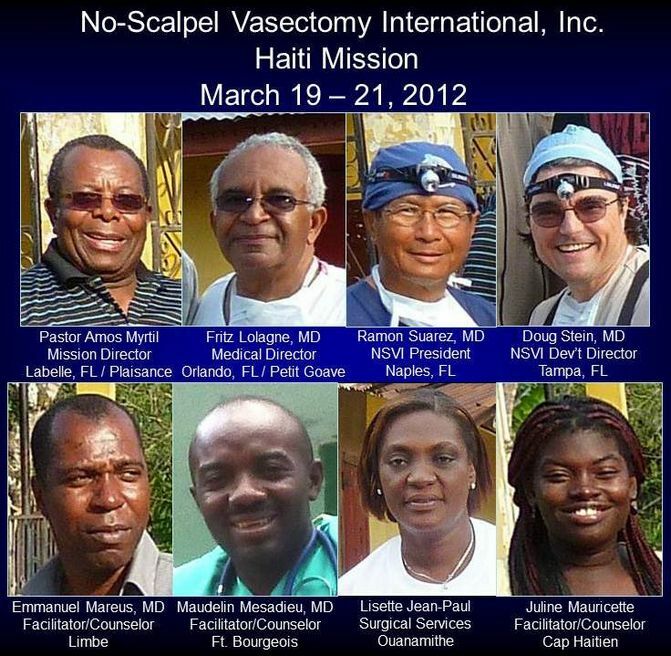 2012 March | No-Scalpel Vasectomy International, Inc. 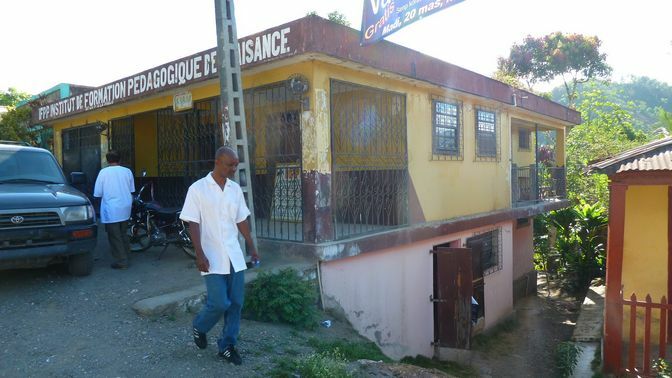 While NSVI would never have developed a program in Haiti were it not for the tireless efforts of Dr. Fritz Lolagne (Haiti’s undisputed leader in long-term methods of family planning), NSVI owes much of its success in North Haiti to Pastor Amos Myrtil whose charity work and good reputation in Plaisance/Pilate have made him a voice that people can trust. So we return to Plaisance for a 3rd time. 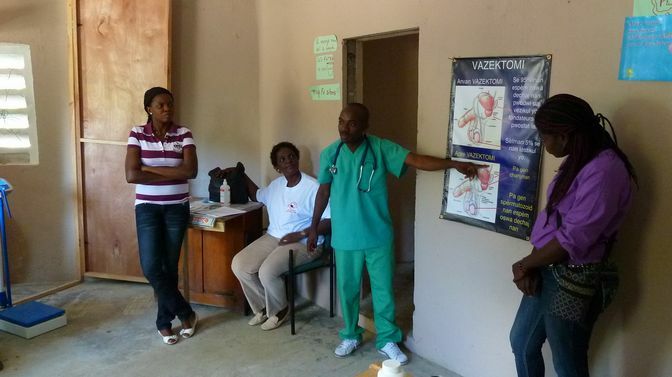 Through Dr. Ted Kaplan of the Cap Haitien Health Network, we learned that Dr. Maudelin Mesadieu and his clinic staff in Ft. Bourgeois are strong supporters of family planning eager to introduce vasectomy to their service area. 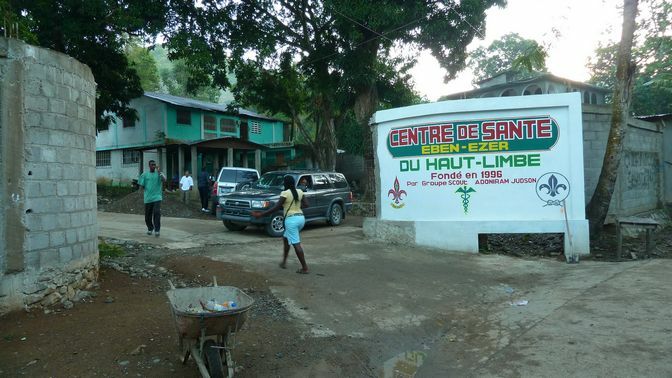 We also had a feeling that Limbe, the site of Amos’s alma mater and conveniently located between Cap Haitien and Plaisance, might be a good third site. 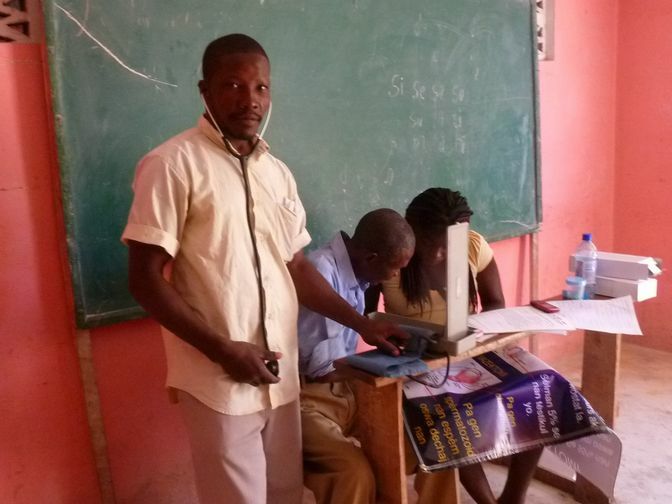 We did not expect that we would be fortunate enough find another enthusiastic supporter (Dr. Emmanuel Mareus) running the health clinic in Limbe. Logistics contributes to the efficiency and effectiveness of a mission. 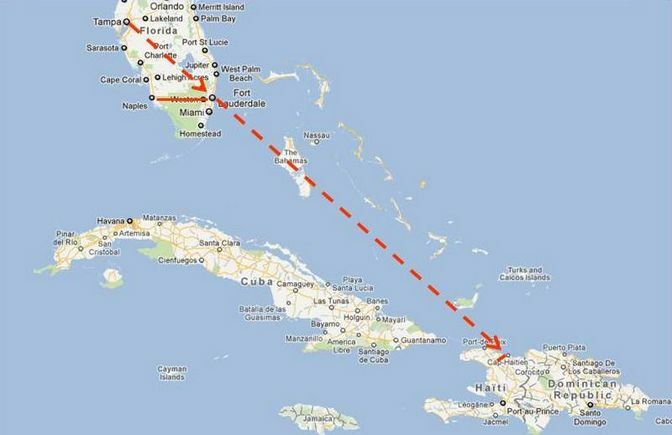 Cap-Haitien is closer to Plaisance than is Port-Au-Prince and its airport receives non-stop flights from the very easy Ft. Lauderdale Airport (FLL). An overnight stay near FLL (Stein can fly from Tampa and Suarez can drive from Naples) to catch the 06:30 non-stop to CAP allows for an early arrival and a full day of vasectomies. But the airport runways are too short for jets and there is only one carrier (IBC Airways). The flights are infrequent (only 4 per week), expensive ($300-350), and often sold out months in advance. 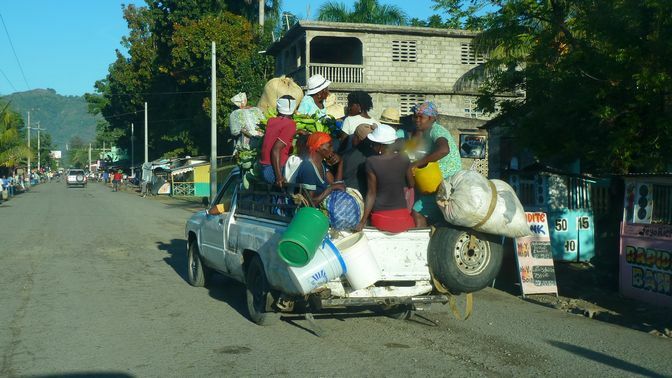 But for our work, it is still better than driving or flying to North Haiti from Port-Au-Prince. 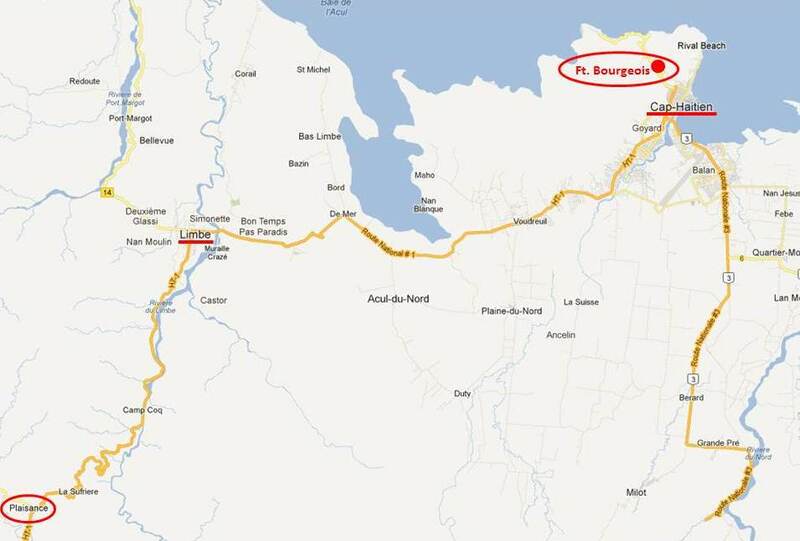 Ft. Bourgeois is only minutes from CAP and Limbe is on the way to Plaisance. The map on the right is a blowup on the white rectangle in the left map. 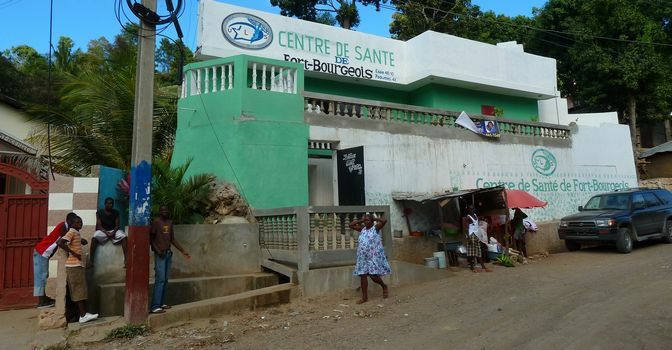 The Health Center at Fort Bourgeois is on the main road, so the banner announcing our offer of free vasectomies (hung a week before our arrival) was easily seen (when the wind wasn’t blowing). 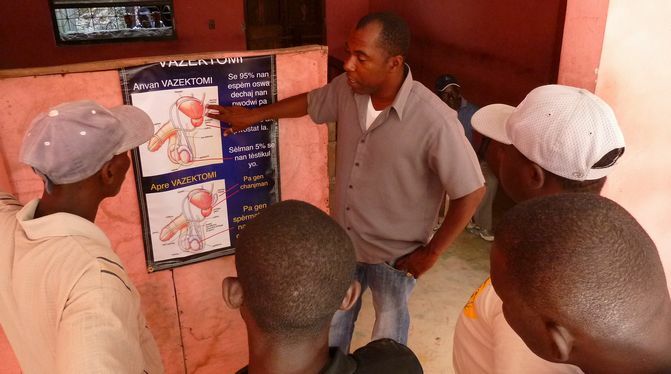 Men were waiting when we arrived and the Medical Director of the clinic, Dr. Mesadieu, explained vasectomy in detail with Drs. Suarez and Stein standing by to fill in details about recovery time, risks and benefits, sexual function, vasectomy reversal, etc. 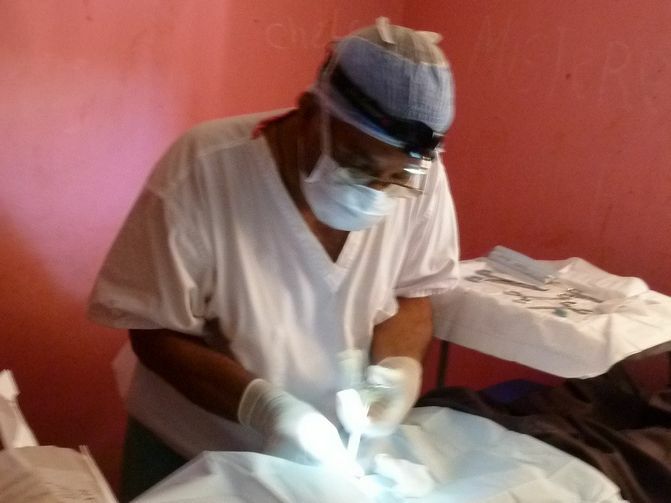 The doorway behind Dr. M led to the procedure room, and the NSVI team set to work on the first patients as Dr. Mesadieu’s staff counseled later arrivals. 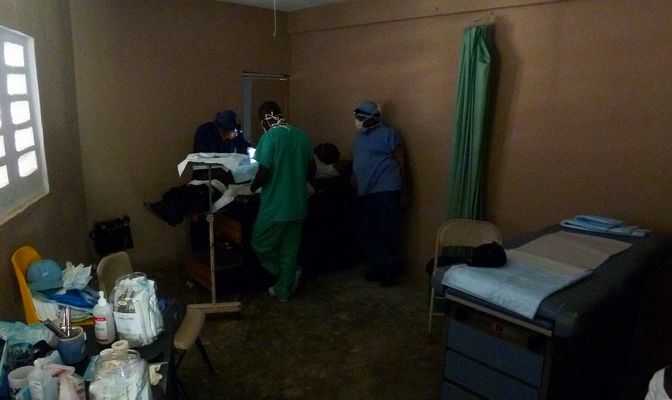 The procedure room had natural light, plenty of space, and two tables. 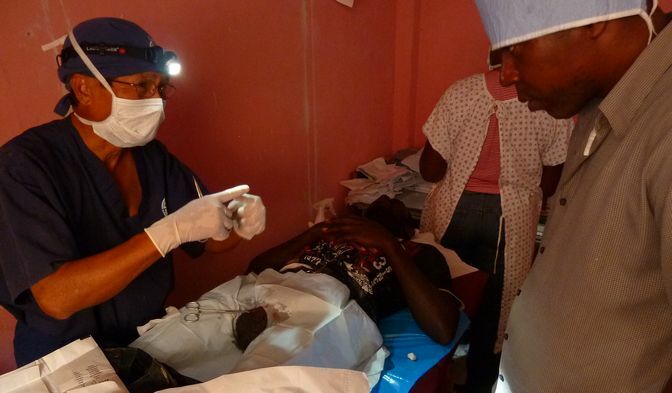 Dr. Lolagne showed Dr. Mesadieu the technique, but NSVI has learned that quick procedures in the hands of experienced vasectomists do more to enhance the local acceptance of vasectomy than prolonged procedures performed while training. 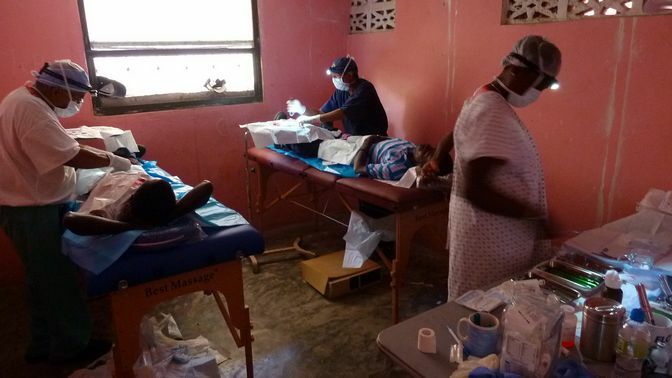 NSVI feels more comfortable with “hands-on” training of local doctors when vasectomy becomes popular in a community. 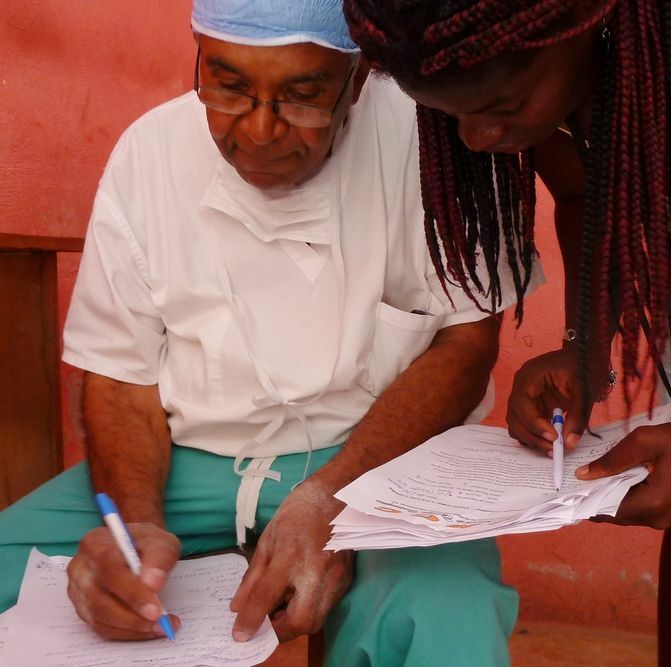 Dr. Suarez shows Dr. Mesadieu his own style, while Dr. Lolagne chats with the patient. 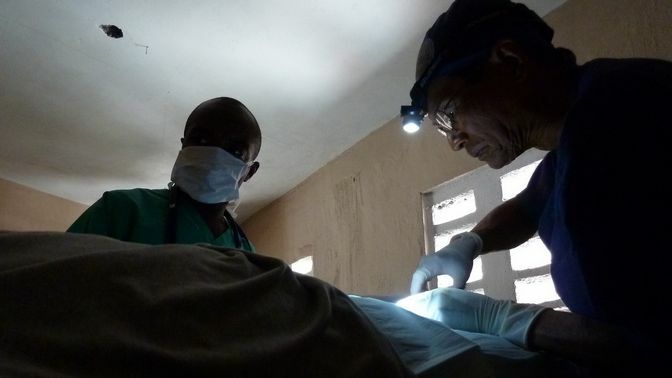 Dr. Mesadieu is impressed that the patient feels nothing after no-needle anesthesia is administered. 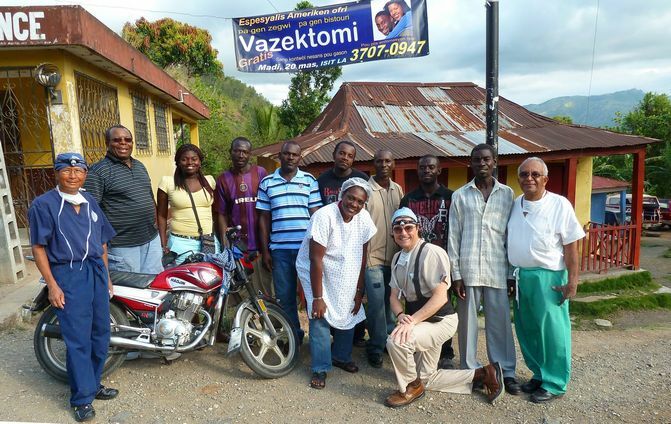 Dr. Mesadieu and his staff pose with the NSVI Team after an afternoon of 11 vasectomies. 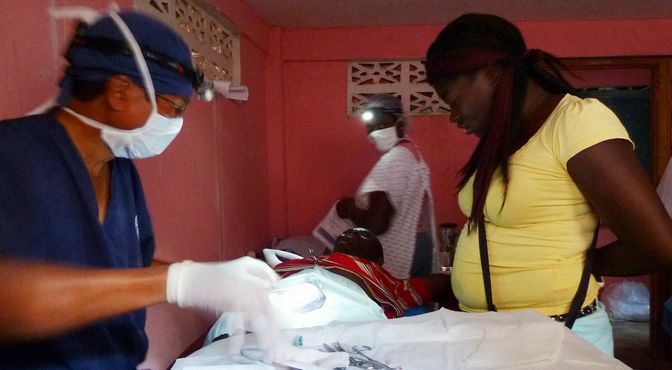 Those 11 patients had fathered 83 children. How will they ever find jobs? If NSVI can return periodically to Ft. Bourgeois, that average number of offspring will hopefully decrease. 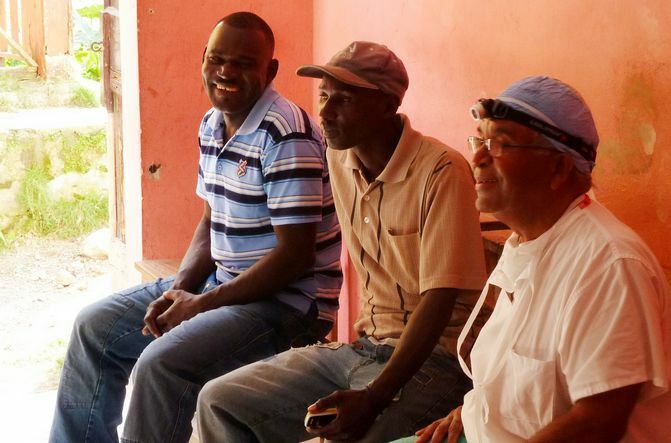 While Dr. Lolagne and Lisette spent the night with friends in Cap Haitien, Ramon, Doug, Amos, and Juline stayed at the guest house of Madame Bell in Voudreuil. 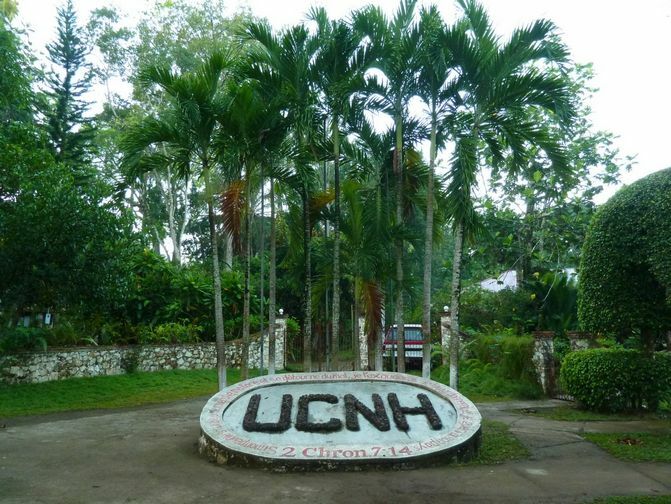 Next morning we visited Limbe, first the Universite Chretienne du Nord D’Haiti (originally the Séminaire Baptiste du Limbé), Pastor Myrtil’s alma mater. 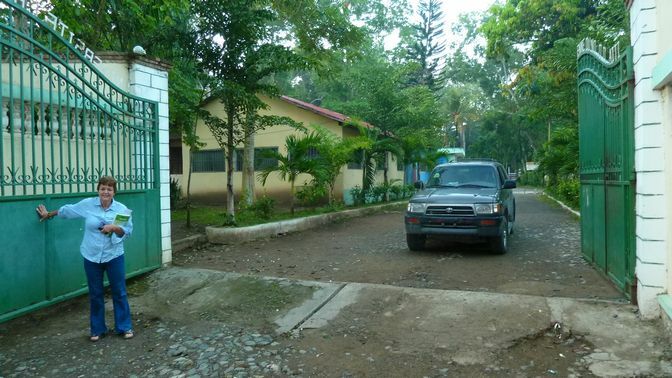 … who escorted us to the Health Center up the side road just beyond the university. 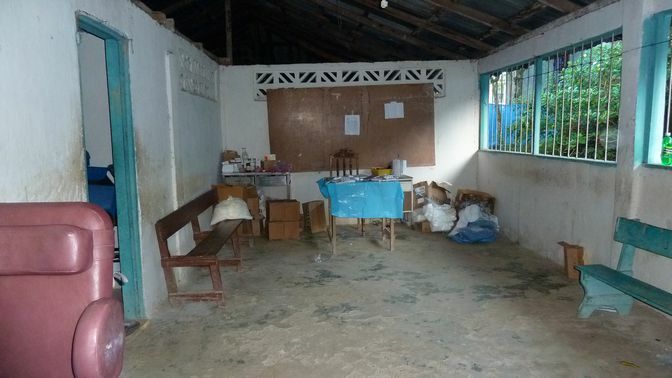 The medical staff had not yet arrived, but a caretaker showed us the clinic. … but plenty of well-lit space. 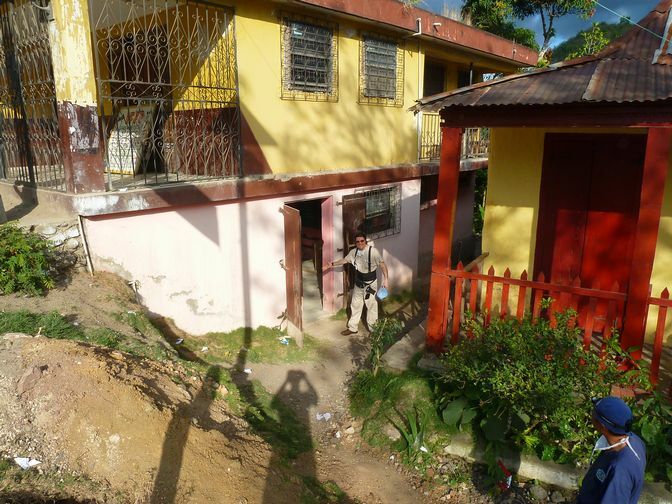 Perhaps next time, as we were committed to work in Plaisance on this day. 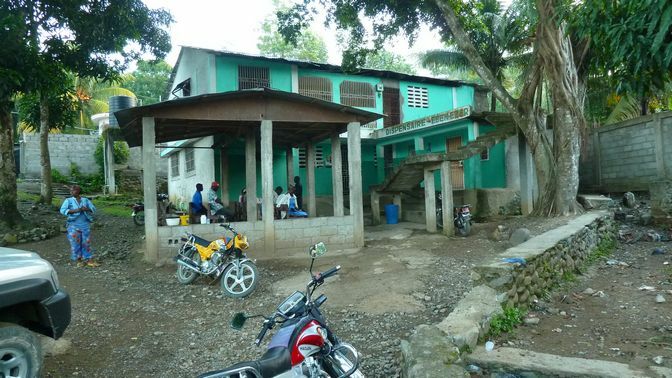 Plaisance is in the highlands to the southwest. Even in the countryside, one can be impressed with the crowds of people and the difficult living and transport conditions. 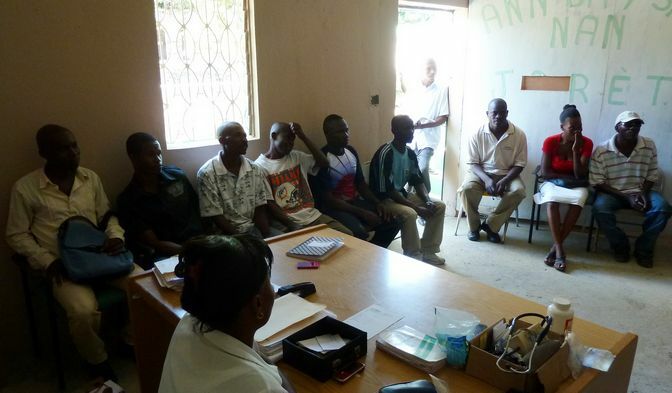 … have their vitals checked, fill out registration forms, and receive counseling from Juline. Behind that room was a procedure room with good light and enough room for two tables. We had bought two portable massage tables on Amazon for under $100 apiece, and they worked GREAT! Strong, comfortable, and easy to clean. 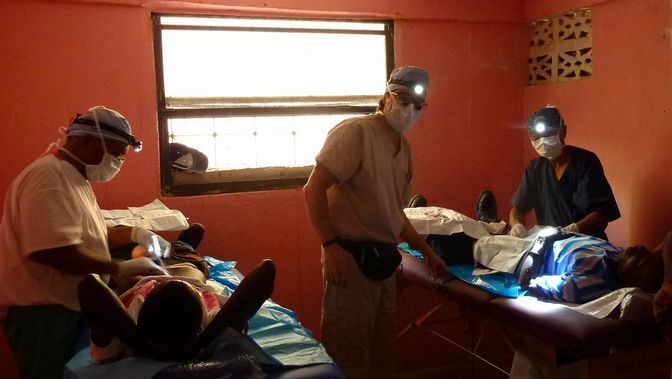 The local kids had a great time trying sneak a peak at the exciting surgery. The patients did not seem to mind. but they were so cute and having so much fun that it was hard to get angry. But they took posing with us during a mid-day break very seriously. 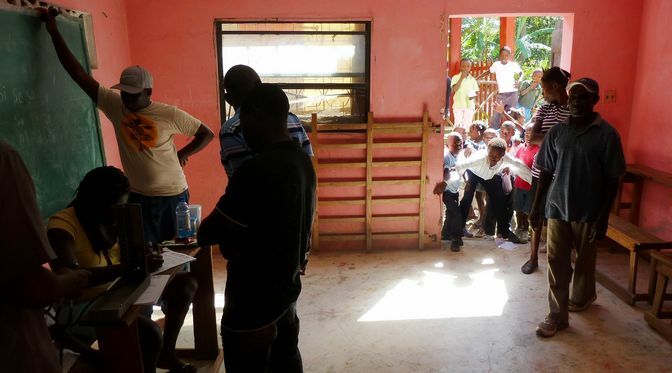 while the giggling kids dared each other to overstep the threshold of our makeshift clinic. 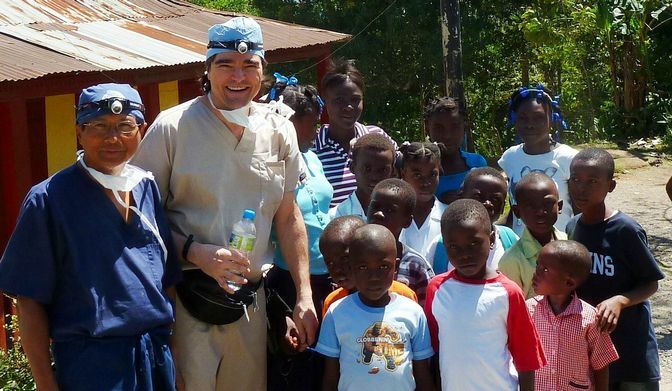 Dr. Suarez was delighted to teach when Dr. Manno became an eager student. 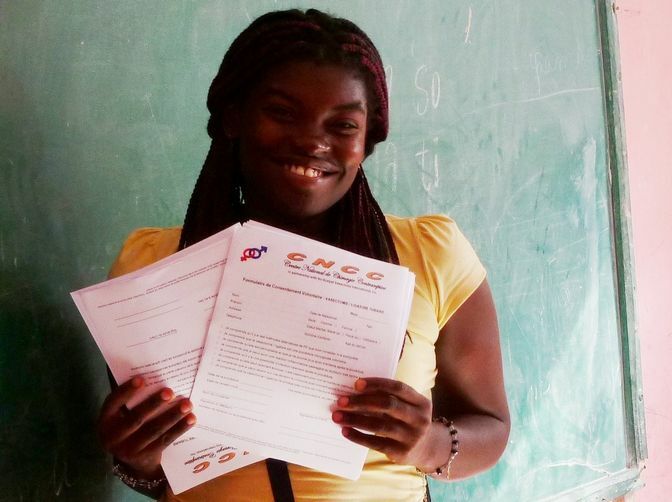 The more Juline knows about the process, the better she will be able to counsel men during future missions. 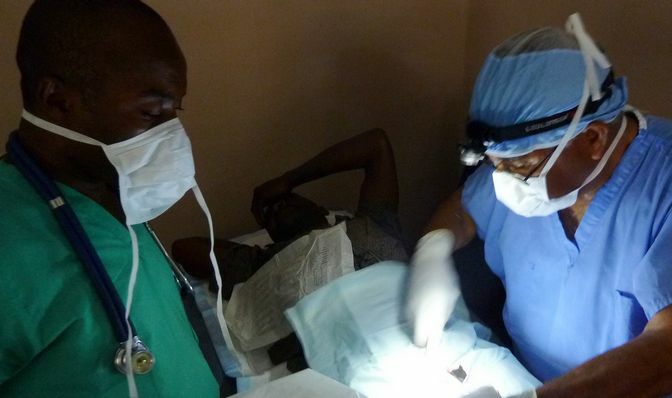 Dr. Lolagne shares a laugh with a couple of happy (relieved that it was easier than expected) patients. Any more patients? Send them this way. How could any man with enough children resist that friendly face? 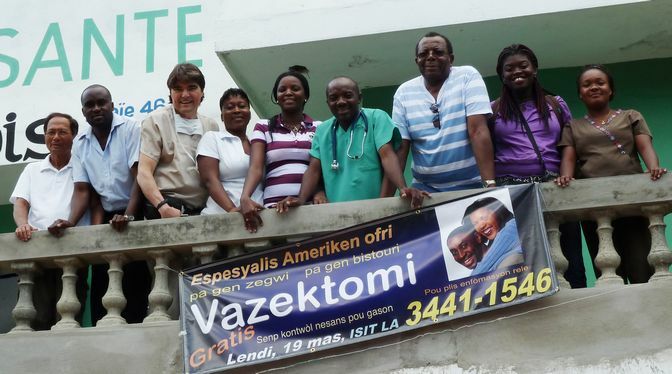 That final group shot with the patients brought by Dr. Manno from Limbe. 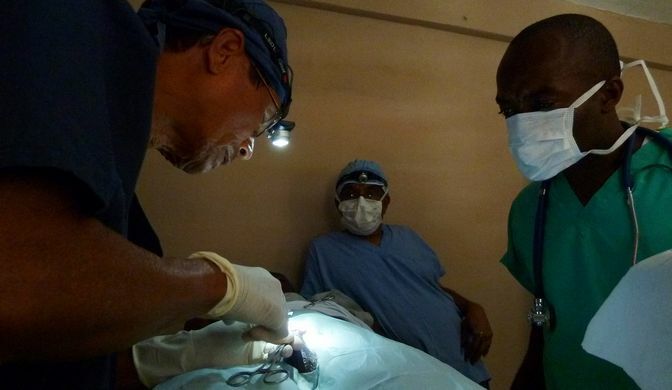 We had performed vasectomies on 25 men who had fathered a total of 123 children. 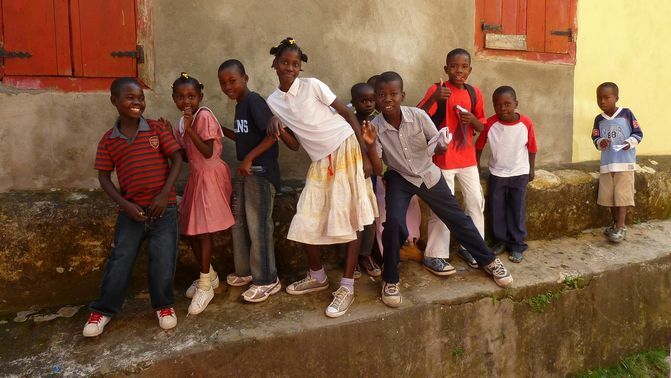 Night falls early in Haiti, which chooses to be in the Central Time Zone despite being 300 miles EAST of Florida. 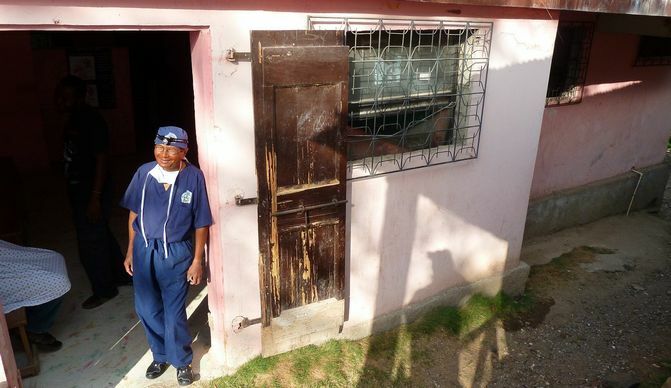 There is no public electricity in Plaisance. 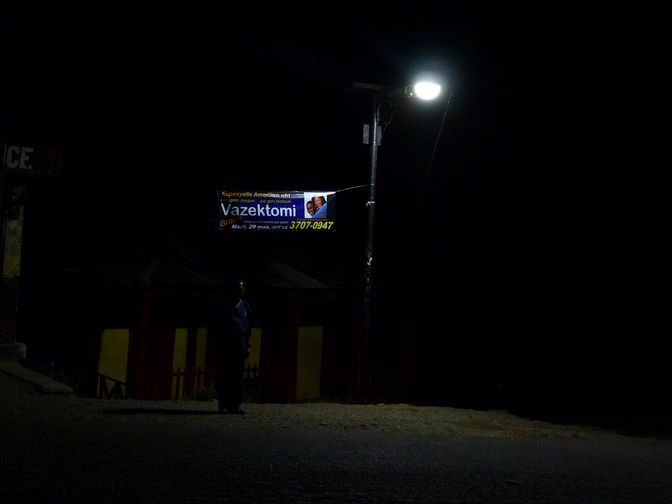 This is a rare solar-powered streetlight. 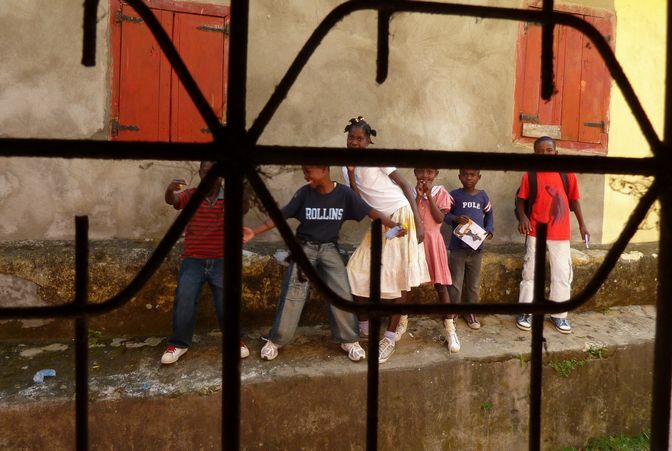 When there is no moon, Plaisance gives a whole new meaning to darkness. Ramon poses under the only glow for miles. 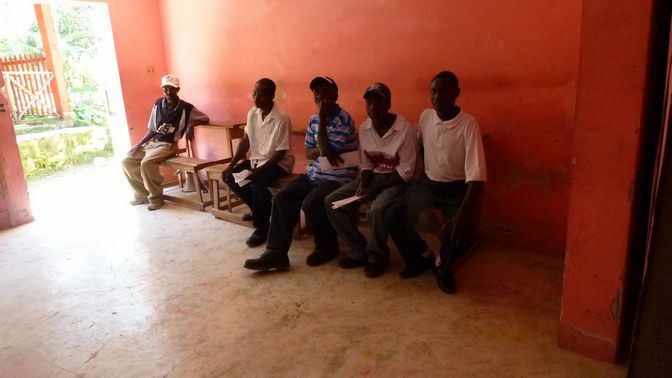 NSVI can only hope that the men we have served will spread the word about vasectomy, so that others can see the light of nurturing fewer children more effectively so that those children can get the education they need to transform Haiti from a land of poverty and joblessness to a paradise of economic and cultural success.